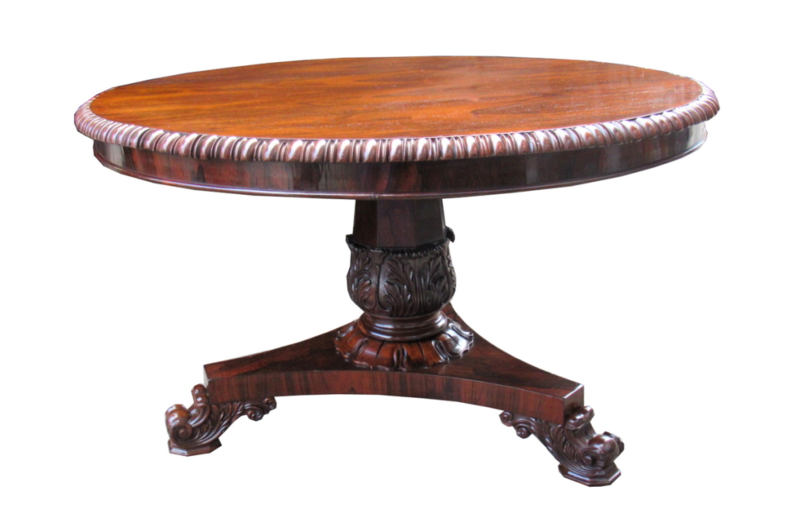 A Spectacular Late Regency Well Figured Rosewood Center Table of Outstanding Quality attributed to Irish Dublin Maker Williams & Gibson. 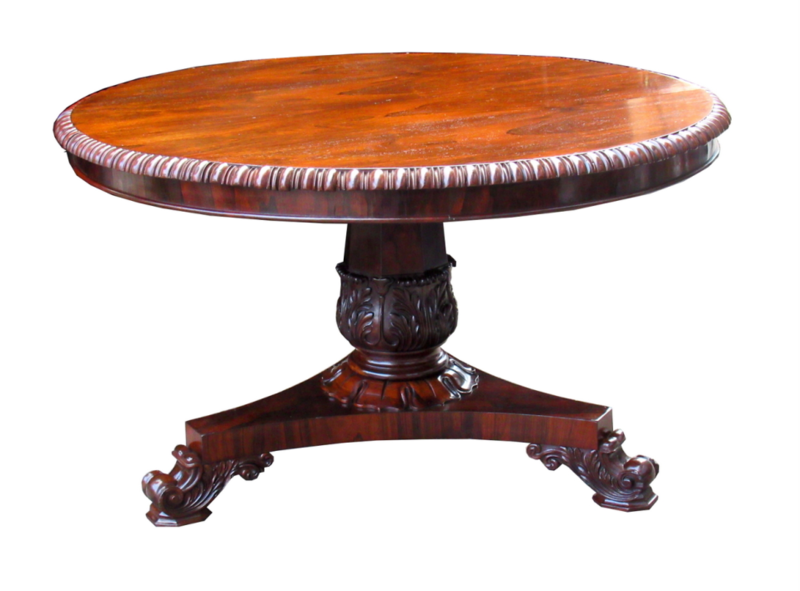 The circular tilt-top with seldom seen wide reeded edge on an octagonal column above a deeply carved socle with acanthus leaf carvings and similar carved collar. 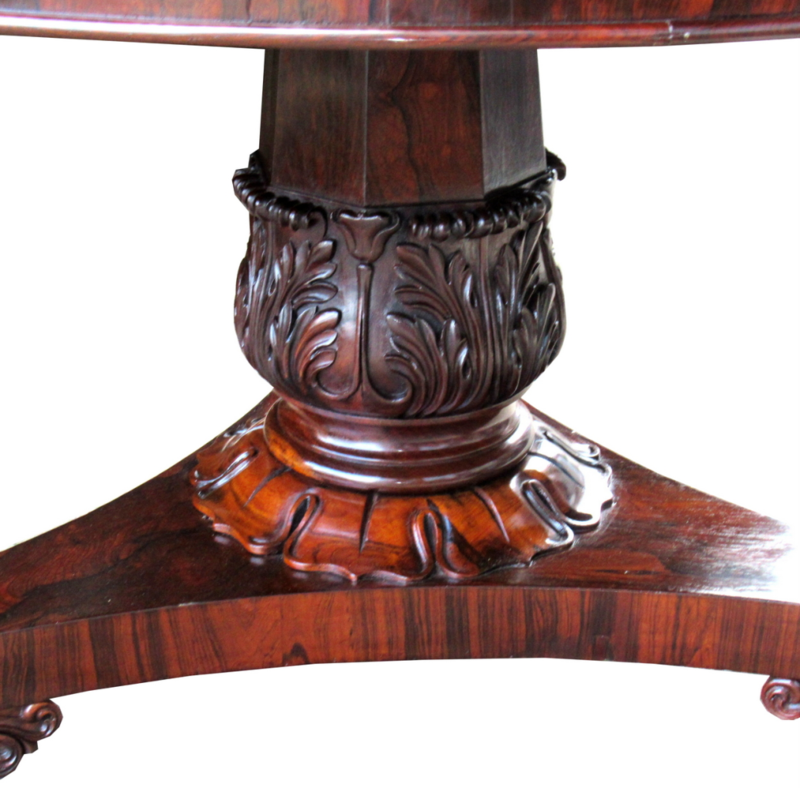 The inverted base terminating in three lavish cast shell and scroll feet, each have been carved from a solid block of rosewood. Diameter: (including reeded rim) 48.75" (124cm). 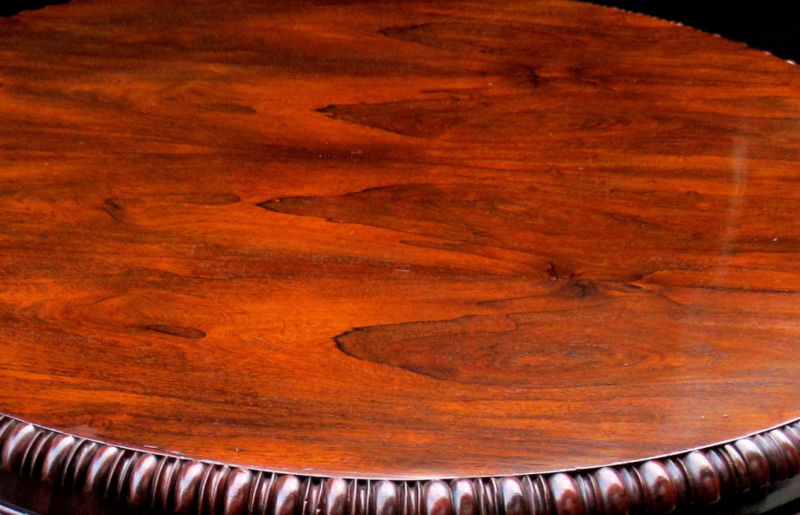 Height: 28.25” (72cm). 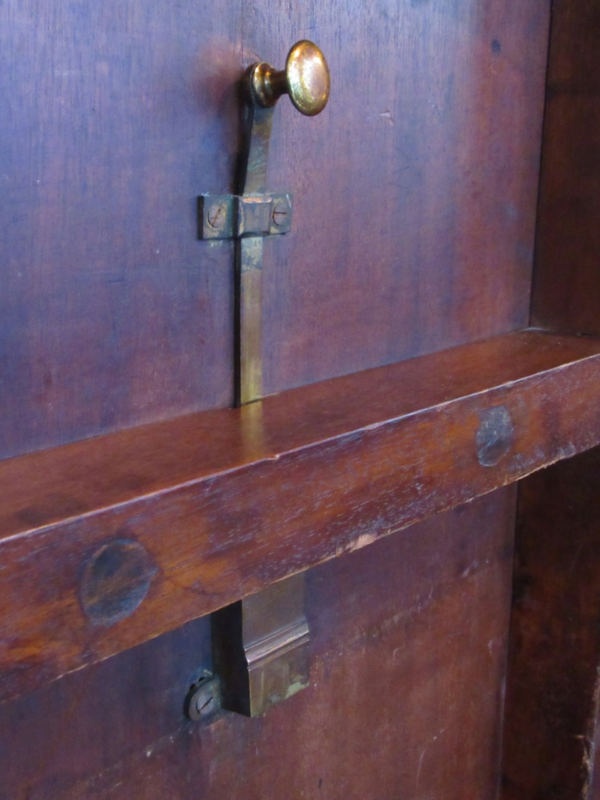 Condition: Superb condition for such an early piece. 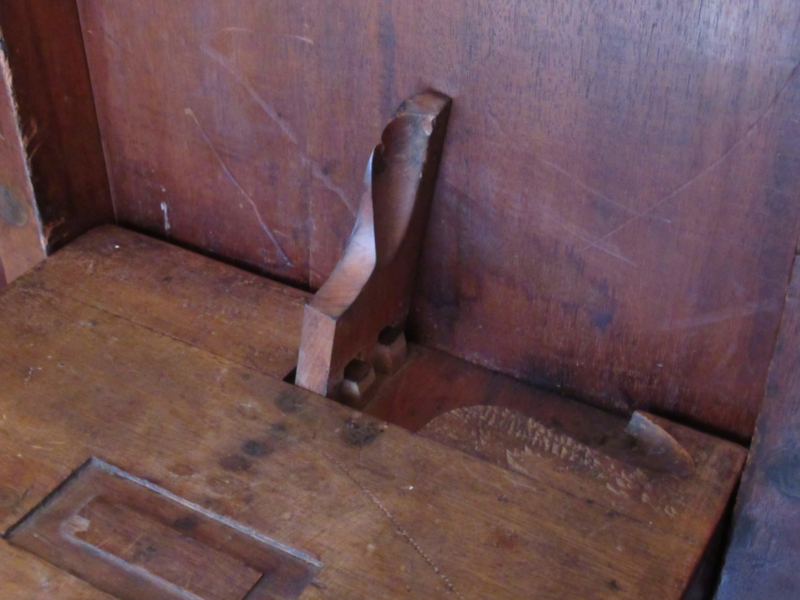 Professionally restored, unusual supporting wooden hinge mechanism underneath, see image. 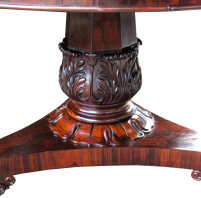 Note: A similar Table with related base and vibriantly carved feet was sold in London in 2017. Ref. 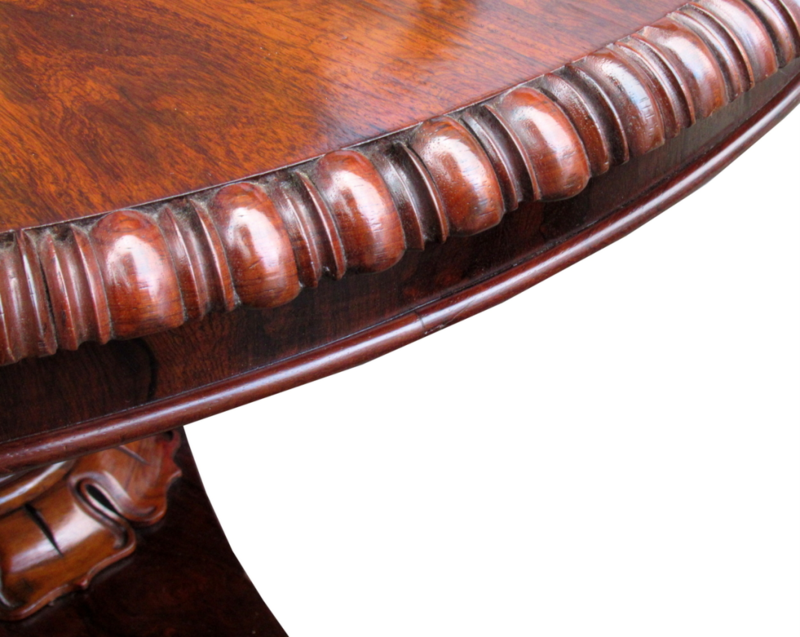 “The Ballyedmond Collection” at Sotheby’s May 2017 Lot No. 194.